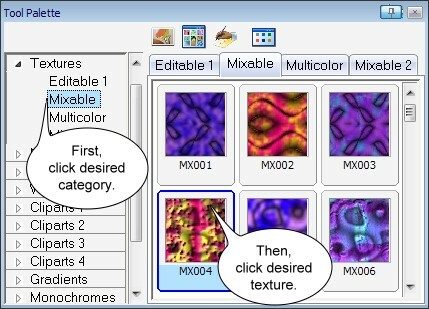 The parameters dialog box you allow to use your image files to draw the textures. 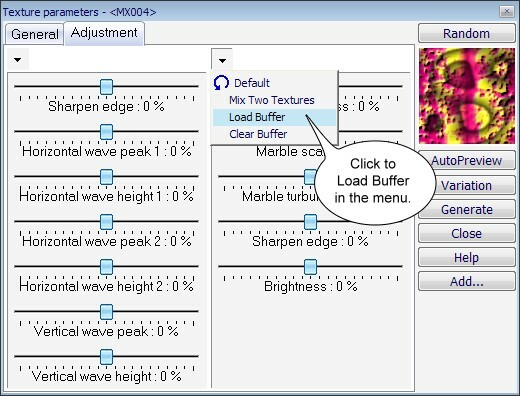 In the Parameters dialog box, click on Adjustement tab and to Load Buffer. 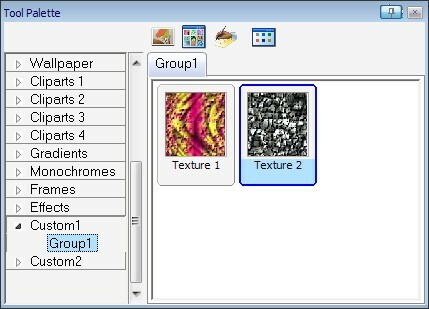 Now, select the image file that you want to use to draw the texture. After the image file is loaded, click to Generate button. 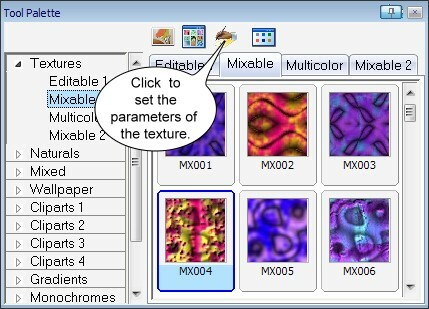 You can also save this texture setting in the ToolPalette for future use by clicking the Add button. 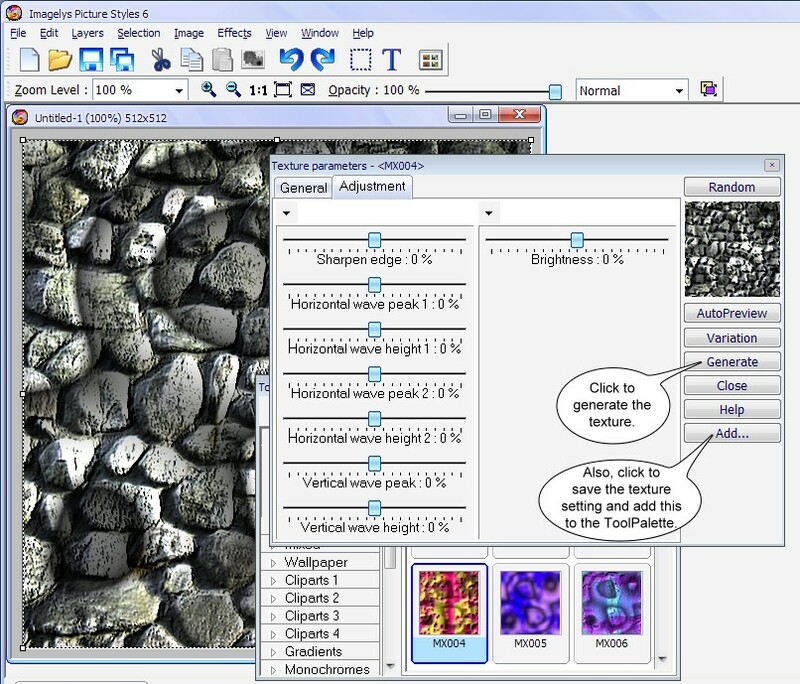 Your texture setting is saved in the ToolPalette.